Product contains milk and wheat. Produced in a facility that also processes soy, egg, peanuts, and tree nuts (pecans, almonds, coconut, cashews, walnut). This product is gluten free. Enjoy delicious flavor after flavor in this perfectly curated gift. 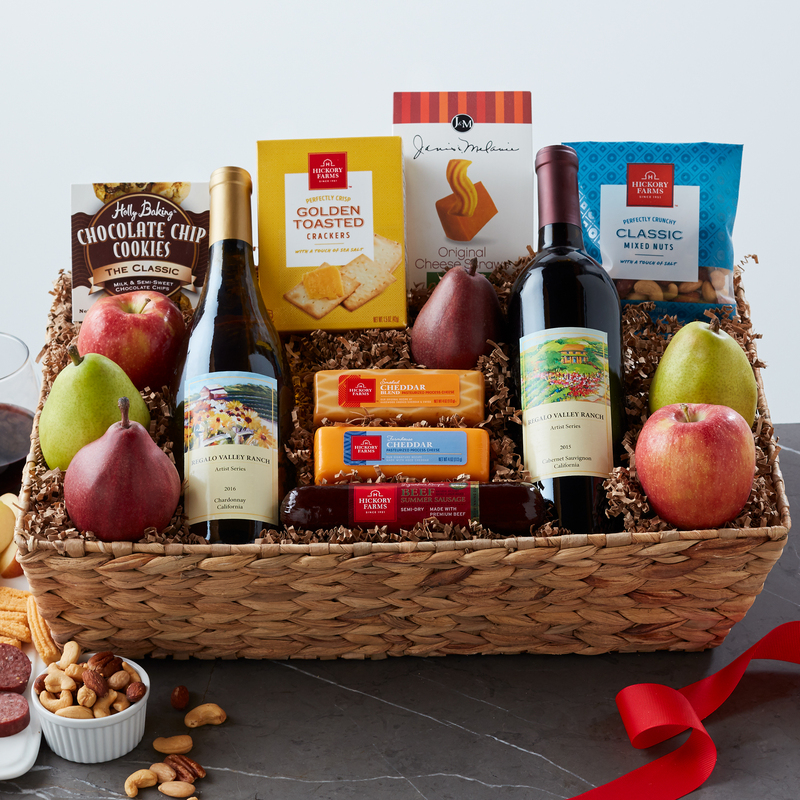 Savory bites like our Signature Beef Summer Sausage paired with Smoked Cheddar Blend or Farmhouse Cheddar and Golden Toasted Crackers are the centerpiece of this basket. A selection of pears and apples add freshness, plus cheese straws and mixed nuts for a savory crunch. The chocolate chip cookies add the right amount of sweetness to this gift. Enjoy these flavors alongside a glass of rich Regalo Valley Ranch Cabernet Sauvignon or buttery Regalo Valley Ranch Chardonnay for a truly special celebration!